Watching Bastian Schweinsteiger in a Manchester United shirt will take some getting used to. Mr. Bayern Munich many of us seen him as but now he’s considered at leader at United, excited about the new challenge that awaits his successful career. In Germany he won everything and is now captain of the international side that won last year’s World Cup in Brazil. Schweinsteiger signed in a deal worth around €15 million last week and made his debut as a part of the second half XI during United’s 1-0 win over Club America. Following Schweinsteiger’s 45 minute performance, he told ManUtd.com he was feeling sharp and felt the team played well. “It was great, an absolutely great feeling to wear the jersey and I think we also played well and I am looking forward to playing more games, especially at Old Trafford. I was more excited and not so much nervous. I was excited to see how it is and also about my fitness. It was a good test for myself, to see how it is. I felt okay so that was a good sign. He continued by reflecting on Louis van Gaal’s other new recruits – Morgan Schneiderlin, Memphis Depay and Matteo Darmian – who all got 45 minutes against the Mexican side. “Morgan was very good and he is a very good player. If you see the goal, he did it well with no foul and a nice header. I think he is a really good player and, also, for me, what is more important, is that he is a good boy. Schweinsteiger has yet to play with the other new signings but he enjoyed linking up with some of the youngsters United lined up with in the second half. He has words of praise for Andreas Pereira, James Wilson and Jesse Lingard. “Yeah I enjoyed it a lot because to watch young players, how they are and how they played with Pereira, Jesse and Wilson. They are all very good players. I have seen a lot of young players in my career and I have to say that these young players are very, very good. 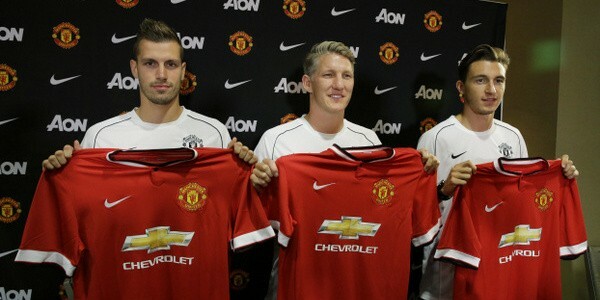 If they are doing well in the future then Manchester United could be happy. So, there you have it. Schweinsteiger already understanding the proud tradition of developing youngsters at Manchester United. You could say it’s similar at Bayern Munich but these quotes are refreshing to say the least.